This book is unique and audacious, and fits very well with current tendencies within qualitative research. 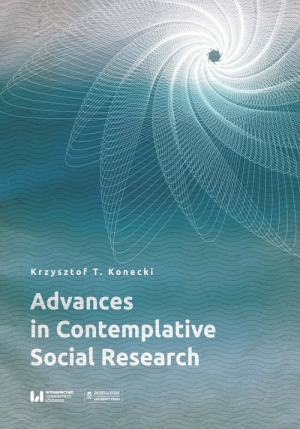 It introduces new, fresh threads to questions and concerns that are highly significant for contemporary social sciences. The formulated conclusions go beyond directly methodological issues, posing key philosophical questions to the whole project of Western sociology. Deep contemplation of the situation could be the epistemological choice for social scientists. It is a fundamentally different approach to the research, where the investigator is researching the object but also the situation of research and her-self/him-self. Contemplating is a dual way of the approaching the truth. It does not mean that the researcher is mentally divided; just the opposite, she/he wants to be complete and achieve the unity of being as a researcher-human being and an element of the situation (psycho-social and historical). Contemplating enables researchers to see how the mind works and creates the images and reports from the field – what is available for the mind and what is silent or repressed because of the dominating rhetoric of description and rhetoric of feeling?... Contemplation is not only analysis, it is also an ethical choice of stopping here and now to see the situation clearly and reporting it with the all reservations that could be the result of the mindfully-observed interaction of mind, self, and situation at one historical moment.